Heavy snow is expected across New England, and communities like Scituate, Massachusetts, are concerned about flooding. Meanwhile, Lowell High School is closed Wednesday after a pipe burst; students reported being frigid inside the school Tuesday. 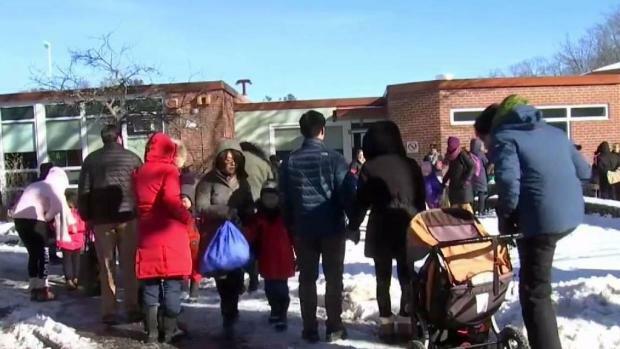 With the cold snap that has persisted in New England through the holiday weekend, getting back to work and school proved difficult for many. 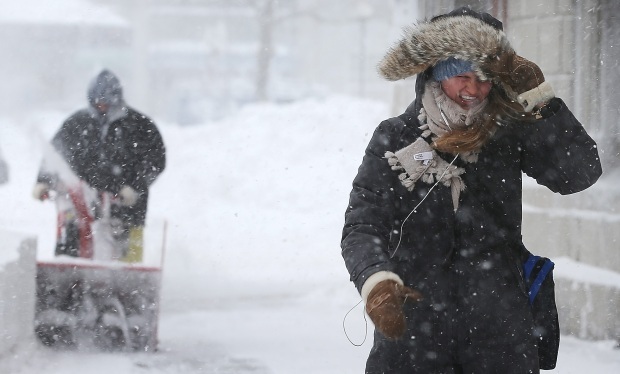 Temperatures were not above the 20 degree range in the Boston area for seven consecutive days. In Lowell, Massachusetts, the high school will be closed on Wednesday after a day where students reported being frigid in class. Senior Matt Draper took a photo of his hand in class where he said his hand had "started to turn white and purple because it was too cold." A mother at Lowell High School also shared a video showing a pipe burst during basketball practice, with parents questioning if it's because of the cold. With the holidays over, many spent Tuesday getting back to work and school. But the cold weather is making that more difficult. On the roads, AAA says more than 70 percent of the calls crews are getting Tuesday are for dead batteries, and there are still many Massachusetts drivers waiting for help to show up. The problem is that roadside assistance services are inundated with similar requests. Wait times on the phone are long, with some callers unable to get through. 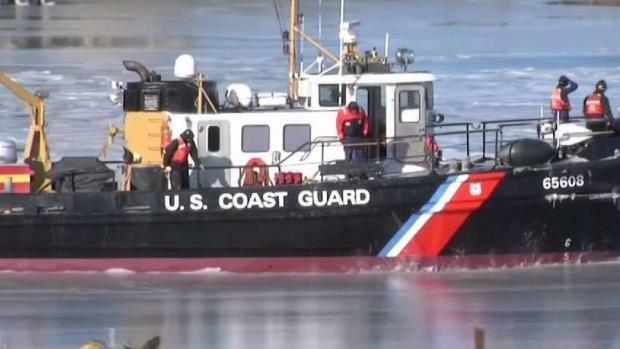 The extreme cold is having a major impact on the ocean, knocking out ferry service between Boston and Hingham and requiring Coast Guard crews to churn through the ice. AAA spokesperson Mary Maguire says people stuck on the roads are being prioritized, while people with cars in driveways will have to wait longer. "With this type of historic cold, we simply ask for people's patience," she said. With the frigid weather continuing, many residents are keeping plumbers busy with calls about frozen pipe. Indoors, pipes are freezing, keeping plumbers busy, as well. "We've been non-stop. We are all hands on deck," said John Ambrosino, owner of Total temperature Control in Wakefield, Massachusetts. "It's not the temperature, so much as the length of the temperature." Ambrosino is asking people to remember to keep the heat running, and to keep water, hot and cold, trickling from faucets. "Please don't shut the heat back when you go away," he said. 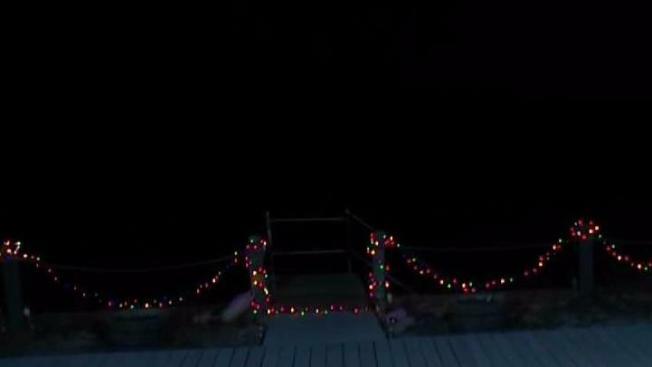 "We've had, I think, 11 different calls from people just coming back from the holidays and find their house freezing." Ethos, a Boston-based food delivery service, is checking in on its many elderly clients during this deep freeze. Homeless and elderly people, in particular, are at risk in the extreme cold. 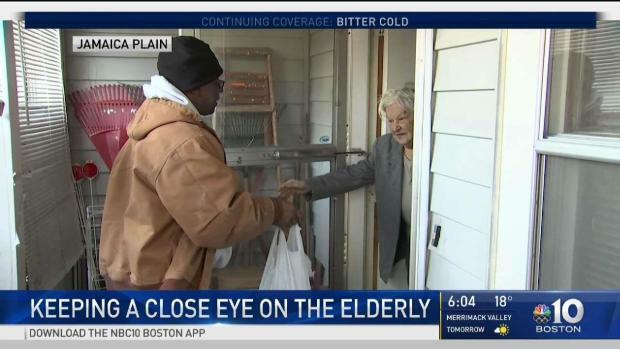 One Boston non-profit, which delivers food to nearly 1,000 elderly people daily, is working to make sure their clients are safe. 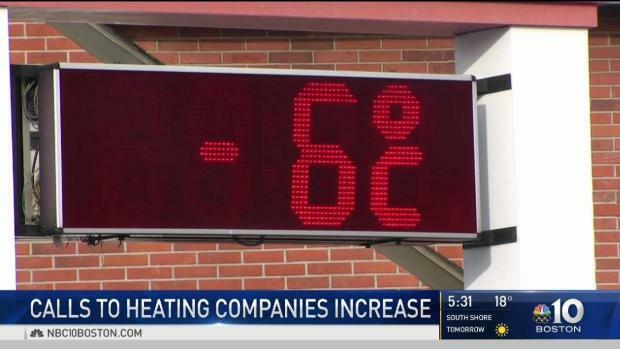 "If you go by their house and their house is cold, you ask them how long the house has been cold," explained Bobby Adams, a driver for Ethos, based in Jamaica Plain. Since Thursday, Ethos has been calling clients to make sure they are OK.
"I got the heat going all the time," said 95-year-old Fred Grenier of Hyde Park. "It's on steady at 71 degrees." "We send out what we call 'winter storm packs,' which are shelf-stable food for people to get through the hump when we're not able or might not be able to get to them," said Ethos CEO Dale Mitchell. Meanwhile, on the second day of the new year, many people are returning to work and school. Some districts in the state started 2018 with delayed openings because of the cold. In Newton, school buses were running half an hour late in some cases because engines wouldn't start. "We are apologizing to our Newton families and to our students for any anxiety or discomfort experienced this morning," Superintendent David Fleishman said in a statement. "We will continue to refine our operational procedures to ensure timely and accurate alerts related to winter weather." Aside from dead batteries, AAA says the second most common problem crews are seeing are drivers warming up their cars, running into their homes, and accidentally locking themselves out of their vehicles.